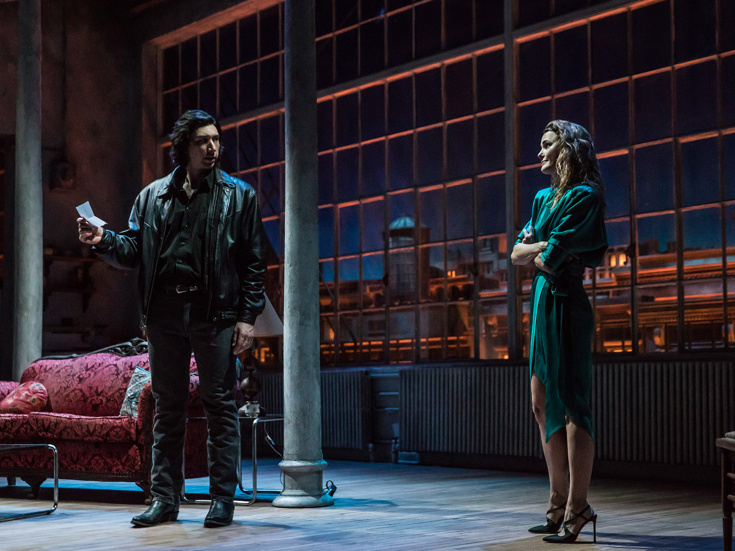 Adam Driver & Keri Russell in Broadway's "Burn This"
Lanford Wilson's steamy classic Burn This is back on Broadway with screen stars Adam Driver and Keri Russell taking on unlikely strangers Pale and Anna. The revival opens at the Hudson Theatre on April 16. Take a look at the photos, and then go see the show!